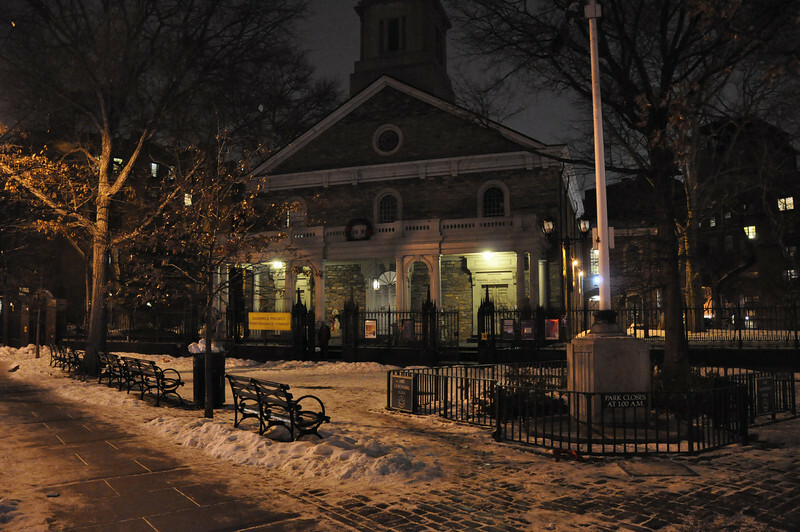 St. Mark's in the Bowery church in the East Village on a cold January evening. Fantabulous! Love this night scene. Perfect lighting and exposure. Creates a great mood. Terrific night shot and composition!